What truly differentiates doctors of chiropractic from other healthcare professionals is that chiropractors are the only professionals who are trained to diagnose and treat what are called spinal subluxations. Vertebral Subluxation literally means, a slight dislocation or misalignment of the bones in the spine. There are actually five components that contribute to the Vertebral Subluxation Complex (VSC). where the vertebra is either out of position, not moving properly, or is undergoing degeneration resulting in irritation or impingement of the nerve itself. is the disruption of the normal flow of energy along the nerve fibers, causing the messages travelling along the nerves to become distorted. Over time, this can lead to a whole host of conditions, such as peptic ulcers, constipation and other organ system dysfunction. since nerves control the muscles that help hold the vertebrae in place, muscles have to be considered to be an integral part of the vertebral subluxation complex. A subluxation can irritate a nerve, the irritated nerve can cause the muscle to spasm. the VSC will also affect the surrounding tendons, ligaments, blood supply and other tissues as the misaligned vertebrae tug and squeeze the connective tissue with tremendous force. is the change in the chemistry of the body due to VSC. Most often, these vertebral subluxations cause the release of chemicals called kinins that increase inflammation in the affected area. These changes become progressively worse over time if they are not treated correctly. This leads to chronic pain, inflammation, arthritis, muscle trigger points, the formation of bone spurs, loss of movement, as well as muscle weakness and spasm. In order to be truly healthy, it is vital that your nervous system be functioning free of interference from subluxations. 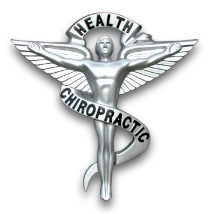 Chiropractors are the only health professionals trained in the detection, location and correction of the vertebral subluxation complex through chiropractic care. Both infants and adults can benefit from ongoing treatment. Wellness care seeks to turn on the body&apos;s natural healing ability, not by adding something to the system, but by removing anything that might interfere with normal function, trusting that the body knows what to do if nothing is interfering with it. Standard Medical Care on the other hand, seeks to treat the symptoms by adding something from the outside - a medication, surgery or procedure. When the body heals and maintains itself well, there is another level of health that goes beyond asymptomatic or pain-free which reveals an opportunity for vitality.